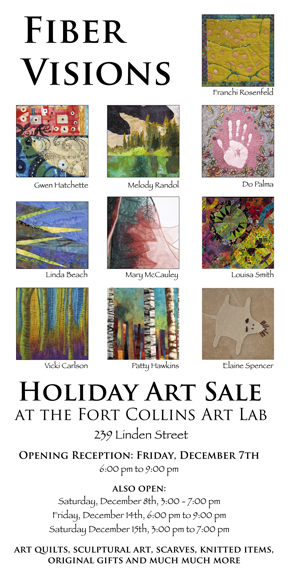 Thought I would share some of the pictures of the exhibit/sale at Art Lab in Fort collins, CO. 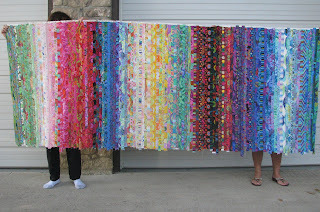 I am so proud of our diverse group and their work it looks wonderful. One more weekend to go! "FIBER VISIONS ART SALE AT ART LAB"
Included in this ART SALE for the holidays are art quilts, sculptural art, scarves, knitted items, greeting cards, and other unique original gifts, all created by members of Fiber Visions. 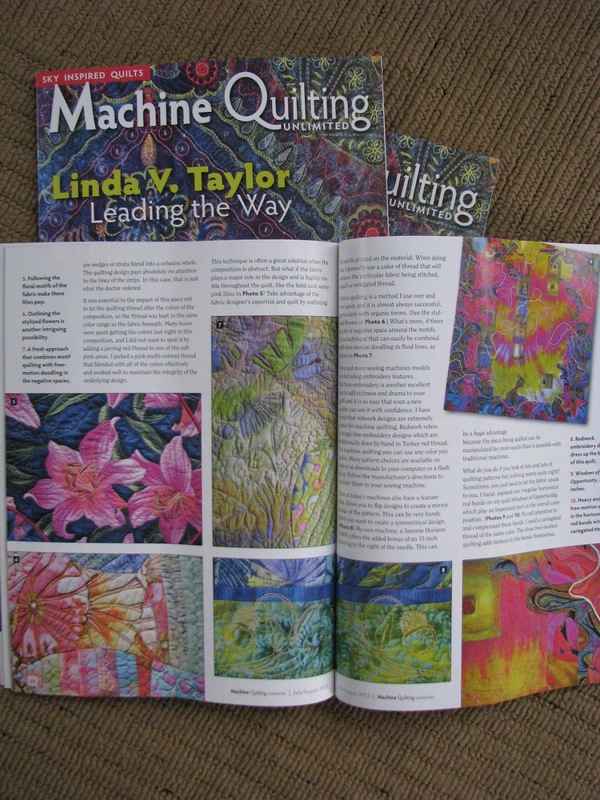 One of my favorite magazines is Machine Quilting Unlimited Magazine. It is so beautifully done, you must get to see a copy if you are unfamiliar with this magazine. 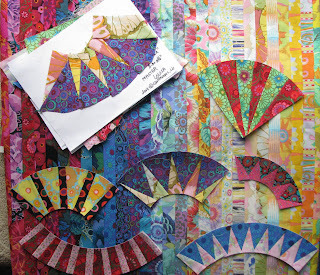 I did an article for them back in July and I just loved the way they did the layout, I will post a picture here. 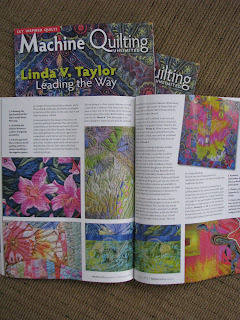 This past month however one of my friends Linda Beach did an article for them it is fantastic go get a copy if you can.